Hi my name is Maureen(some people call me Brownie) and I live in Ontario, Canada. I am retired from the automotive industry. Looking to make more money to add to my pension. I am married but my husband and I never had any children. My husband and I are both animal lovers and right now we have 2 dogs, one cockatiel and 19 ducks. 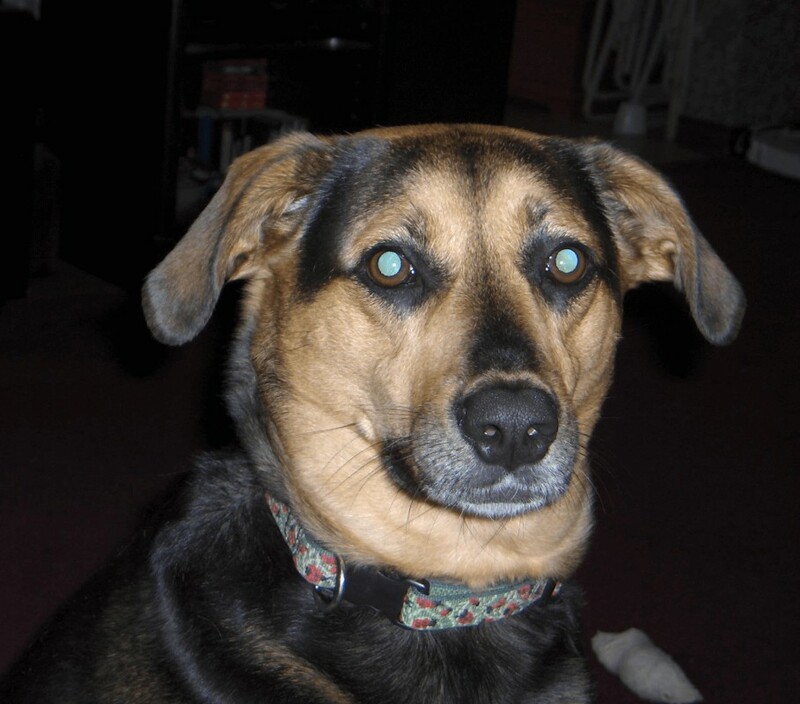 Update - We lost our beloved dobie girl April 30/2015. She is sadly missed by my husband, myself and her buddy Olive. This is the first time in over 30 years that I have not had a dobie. They are a special breed. Thanks, for the great comment on my webpage, https://perfect-vegetable-garden.com/earthquake-mc43-mini-cultivator-review! No problem. Good luck with your website! Maureen, I just commented on your 'to breed' post. Great story and a must for pet owners (if they take heed). After that I will keep in contact with you. Thank you for the follow and wish you all the best! Hi Maureen, thanks for the follow! I hope we realise our goals for the future ! Thank you for your recent follow, I appreciate it. Thanks for the follow, really appreciate. I had a dobie once. She was wonderful. We got her from the pound. She is gone now also. But we love our dogs now and always hope we outlive them as loss is so hard to take. Thanks for following. I'm trying to learn my way around. Thanks for following me Maureen, I wish you every success with your websites. Hello again Maureen! Thank you so much for following me. Thanks for the follow Maureen. Thank you for the welcome, and you also have some great accomplishments. I know you will be an asset to my growth as I reach out for knowledge from you. I have two pups, one 21 months , Milkee and 7 month old Lacee, who is my lovable little monster. I lost a huge piece of my heart when I lost my Pomeranian, Marlee, in November. You can never replace them, but there's always another baby who need your love. That is so true you can never replace them. We did adopt from the pound. Olive is a Shepherd/lab cross. She had been adopted and returned after 3 months. Fella said she was using the house as a toilet. She had two accidents when we first got her and neither were her fault. She is just the opposite now - she can hold it forever. She was a diamond in the rough. Really glad the guy did bring her back. Thats a lot of animals to love right there lol. i am a dog person myself but anyways thanks for the follow and wishing you more success in your WA journey! Hello, Thank you for the follow. I wish you all the best in your online business. Thanks, Mbrownie for following me! Looking forward to doing great things! Thanks Martin all the best to you! Thanks for the follow. I like animals too. I have 2 cats, a male and female. I wish you all the best in life, and in business. Thanks for following me. Dobies are great. I have had three in my life. They all died of old age. I also used to raise cockatiels. I also have two small dogs, three horses, 20 chickens. Good luck with your business. Hello Maureen. Thanks for following. Good luck with your businesses. Hi Maureen lovely to meet you. Thanks for following me bacj. Welcome to WA, thanks for the follow, followed you back. I wish you great success at Wealthy Affiliate. If there's anything I can do, to help you out, please ask me. I'm sorry, for your loss, animals are like family. Thanks for following me, I'm now following you as well! I look forward to networking with you here at Wealthy Affiliate and may all your dreams come true. Thank you for the follow my dear friend. Hi Maureen, thanks for following. Looking gorwsrd to work with yiu. Hi Maureen,I'd just like to thank you for following me. All the best to you. Thanks for the follow Ellen. That beauty on my shoulder is Binky. He is the first male cockatiel I have had. Previous cockatiels were female. My females were quite quiet and calm this guy is into everything and he is very mouthy. Guess that is what makes him so lovable. I've recently begin to like animals, reason being an annoying but later become a lovable cat has made friends with me. Thank you for following me, I look forward to getting this going. Thank you so much! you are awesome! it means a lot to me! Thanks for you following Brownie. Hope you are doing well with WA. It looks like you've been busy. Take care and good luck to you. You're in good hands here at WA! Thanks for following me. All the best for you. Tinnitus huh? My ears ring all the time, but more of a muffled ocean waves close to shore. I guess too many first 10 rows at concerts over the years form the 1970's onward! Whitenoise in the same frequency seems to neutralize and negate the sounds, which was a trial and error deal. Well wishes to you. Hi MBrownie, Thank you for the follow. Best of wishes to you. Hello, Maureen, thanks for following me back.I'd like to call you Brownie and you can call me Brooklyn, OK? I see that cockatiel on your shoulder, you might enjoy my last WA blog... It's a birdie blog. Brownie, you watched my video even with the WARNING? You're a daring soul. I loved your Blinky video and left you a comment there. You must know the 'City of Kawartha Lakes' area; my home for over 50 years. I will be in Waterloo for a few years but will move back at retirement time. The loss of a wonderful dog is something our family knows only too well so we truly feel for you. I look forward to reading your websites and had thought about doing one for pet rabbits down the road. Hi Narda I live down in the Niagara area not that far from Niagara Falls. Best of luck here. You will find most people here very helpful. Hi Maureen, I am sorry for your lost. Thank you for following me and I added you back. I wish you much success in years ahead! Thanks for the follow. Good luck with your online endeavors. Thank you MBrownie for following me. I have return the favor to you. I wish you much success here at WA. Hi, Maureen.It's a pleasure to meet you. Thank you for following me back. Wish you every success in your online business journey! Hey Maureen, I ran across your site link in live chat. It is a very nice looking site. Is socrates a wordpress theme? I am still struggling with finding the look I want. Hi Tim Yes Socrates is a paid theme. I bought it long before joining WA and it is the only theme I use. I like it and I am used to it. There are a lot of good free themes out there since they are all a little bit different find the one you like and stick with it. Thanks for your information and may God continue to help you. Many thanks for the follow, I'm following you too. Thanks for the Follow MBrownie.. Just gave a follow back.. To our success! Hello Brownie, thank you for the follow. Forgive my late reply, been working on the road for many months and just now got home. Thanks Jim I am glad I am here! Thanks for the follow, MBrownie. All dogs are special breeds! Hi Maureen, thanks for following back. And so sorry for your loss. Hey! Thanks for the follow. I hope everything is going well for you so far at WA! Hi Maureen, it's nice connecting with you. Thanks for following back. Best wishes to you. Thank you for the follow, well i wish you good luck and sucess with your online business. Hi Maureen, it is nice to meet you. I retired from auto transport after 35 years. Thanks for following, I am following you also. Maureen, I see you are making some good progress through the Affiliate Bootcamp. Just wanted to pop by and see if you need a hand with anything? Anyways, just checking in. Get back at me if you need anything Maureen. I have had a look at your sites - your are definitely someone who is a kindred spirit! I too am animal mad and even though I have long term partnerships I do not have children either. I really love growing my own food and think your growing organic eats site sis awesome! You are truly inspirational to me! Thank you Danielle for your kind comments. Wishing all the best here at WA. online to create your new lifestyle. Thanks for the follow. I love dogs and my lot of 4 Border Collies are always with me. Thanks for the follow Barbara. Border collies are so smart and active. I bet they keep you busy! Thanks for the follow. I too am an animal lover and life would be empty without my Shih Tzu Wrigley. Blessings to you. Thank you for the follow. Wish you the best in WA in 2016. Hi Maureen, thanks for following me. Interesting profile (sorry about your loss). Take care and see you around! Hi Maureen, it's great to meet you. I appreciate ou following me. Hola Brownie thank you for adding me to your network as I have added you to mine. Sorry to hear about your dobie. Hey Brownie, Looks like we have things in common. I use to raise Dobbies, I have ducks also. I had Cockatiels in the past. I love Dobbies. Our female died in April and we now just have her buddy a pup we got from the pound. First time in almost 40 years that I haven't had a dobie. My male was a King Doberman, and weighed 125 pounds and my female was around 75 pounds. Her smallest litter was 11 pups. I also had a red male. I hated losing then they were great dogs. I now have 8 rescue dog of all breeds. That's a lot of dogs. The last two dobies we got were actually related. Our male was our female's uncle. We were going to breed the female but it didn't happen so we had her spayed. Thanks for the follow MBrownie. Best wishes to you. Hi Maureen. Thanks for the follow, I'm now following you in return. I was interested to read about your pets. I love animals too and understand about your dobie. I lost one of my cats earlier this year and she is greatly missed by me and her sister. I bought them just a few weeks after my husband passed away in 2000 and they have been great companions and great comfort to me. Now it's just Mandy and me. Thanks Valerie. Sorry to hear about the loss of your cat. Our pets can be a great comfort to us when we need it. Hi Maureen and thanks for following back. All the best at WA! Thank you for following me back Maureen. I am very pleased to be part of your WA network. I wish you the best in your WA journey! Hello Maureen, thanks for the follow it's a pleasure to meet you. I hope you're enjoying your time here at Wealthy Affiliate and I wish you every success. Hi Maureen. Much appreciated for the follow. How are you? I'm fine Dre. I see you have been here for awhile. Lots of success I hope. In the beginning, yes. Then I went AWOL for a couple years but stayed a member. I only came back about week an a half ago. Ready to rock and roll again. Best of luck to you then! Hello Maureen and welcome to WA and for the follow. Hi, Maurine. I'm a dog lover, too. Sorry for your loss. I see you've had some successes here. Thanks for following me. Hi Maureen, Nice to meet you. Wishing you the very best. Hi Maureen thanks for following me. I wish you every success in achieving your goals. Hi Maureen, thanks for following me here @ Wealthy Affiliate. Blessings ~Betcha. I want to say I am sorry for you loss. I know how sad it is to lose a beloved pet. By now you know how truly great WA is. I am so glad I found WA when I did. I was beginning to lose hope after all the scams I had stumbled upon. Here, I finally made money for myself, rather than just giving it away to others. I wish for your heart to heal quickly, although she will always be there with you, in a way. "God gave us memories, that we might have roses in January!" We have a lot in common. Feel free to private message me anytime. P.S. My oldest granddaughter just moved to Toronto. Thanks for the follow Brownie! Great to meet you. Sorry to hear about your dog. I would love to have a dobie, but don't have room for one right now. Good luck with your sites! Hi Maureen and thanks for the follow. Hi Brownie. Thanks for the follow. All the best. Hi Maureen, welcome to WA and thank you for the follow! I'm so sorry to hear of your loss...it's a hard time to go through I know. We lost our husky mix, Pepper, last year to cancer and I still miss her. I don't know what we'd do without our dogs...we still have four others and each one has their own personality...quite the characters! So sorry to hear about you losing your dobie. They really are a special breed. I had a dobie several years ago who gave me eight gorgeous dobie pups and one mixed breed (This was when I learned about multiple impregnations) One of those pups was trained for personal protection, and oh man was he great at it! Very smart and very dedicated. I miss them a lot, but have had several great companions since. Currently my wife and I have a red heeler/border collie mix named Nalah. Smart as can be and a whole lot of company. I can"t imagine not having at least one dog around. Phil. Hello Maureen and thanks for the follow. I too have two and dogs and a cockatiel...but no ducks! My cockatiel's name is Oscar, and I love the name Binky. They are characters aren't they. I wish you every success here at WA. Thanks Maureen, I really enjoyed your web sites, gave me some ideas. Hi there Maureen and thanks for the follow. I wish you the best of luck here at WA and look forward in following your progress. Thank you for the follow Maureen. Yes his name is Binky and he is a very entertaining fellow. He provides the indoor entertainment while the ducks provide the outdoor entertainment. Thank you Maureen for the follow and many blessings to you here at WA. If you have the time or wish to, please check out my training (Bottom Right Blue Button) on my profile page. I explain ways to help you build a better website, ways to make some extra $$$ with your WA training, and best practices here at WA. I also post a humorous blog every Sunday. Enjoy! Thanks Rob I will check out your training. From what I have been hearing from other members your training is quite helpful. Maureen, Thanks for Following. I hope you have Great Success with your Time spent here on WA, and I wish you Success in achieving all of your Goals! Hello there, thank you for the follow. Nice to meet you and I'm following you back. All you can do is tuck Dobie into your mind and heart and bring her to yourselves that way. We have been through this ourselves with our cats. Good luck in your endeavours here and keep in touch. Hello, Maureen. Very nice meeting you! ahh I see you left a link the comment der! I have building websites for quite some time now. My organic one is the one built using Wealthy Affiliate. Hi, MBrownie, Thank you for following me. Hi dogs become a real part of the family. They show affection and are sorely missed. You sound as if you know a lot about Bobes personally I had a border terrier. But I could write so much about that breed from experience. Thanks for the follow. Best Wishes with WA. 22 ducks? Do you have a big pond? Yes our pond is a fair size. I like watching their crazy antics in the pond. Very entertaining! Thank you for follow and best wishes. Hey Maureen, thanks for the follow. Good luck to you. Steve. Thanks for the follow. I see you already have many websites, that's a good thing: the first months are hard for the rankings :-) I hope you're enjoying your WA journey so far! Yea I have been at this for awhile will minimal success. Joined WA to help me focus which it certainly has done. It is hard to do this on your own and the support of this community is great. I agree. I was looking for a place to learn and I must say I learned a lot so far. Best of luck to you! Hello and thanks for the follow. Following you back. Sounds like a great life with all the animals. We have two cats at home and my son and I love them so much. Wish you great success. Hey Maureen, nice to meet you! Thanks for the follow and I'll follow you back! Thanks David And I will try to Focus Great Advice! Hello, thanks for following, regards. Hi Maureen, welcome to our WA Community, you're on the right place to learn how to start an online business! Thanks for sharing and for adding me to your WA network, much appreciated. Success with your online course, keep on track and let's stay in touch, Desmond. We are here to help! Hi thanks for following it is my pleasure to welcome you into my network and wish you all the best in your future ventures.That is a beautiful cockatieal. Thanks Ken. This is the first male cockatiel I have had always had girls before. Talk about different. He is constant entertainment. Hi Maureen and welcome to WA! WA actually has many members who are either approaching retirement or actually in retirement and are looking for a way to supplement their income for the future. As others here will tell you, there are no restrictions in terms of age and/or situation, so this is a great opportunity for you to turn a passion or interest into a successful online business as a WA member. You have the 'full kit' at your disposal including support within the community and from me personally should you need it. I wish you the best of luck on this journey, Maureen, and if there's anything I can do to help, don't hesitate to drop me a line! Thank-you Marcus for your kind comments and offers of support. That is all for now, Maureen, and once again I would like to welcome you to this amazing work from home community. Please feel free to let me know if you have any questions (at anytime) and I will be more than happy to help!